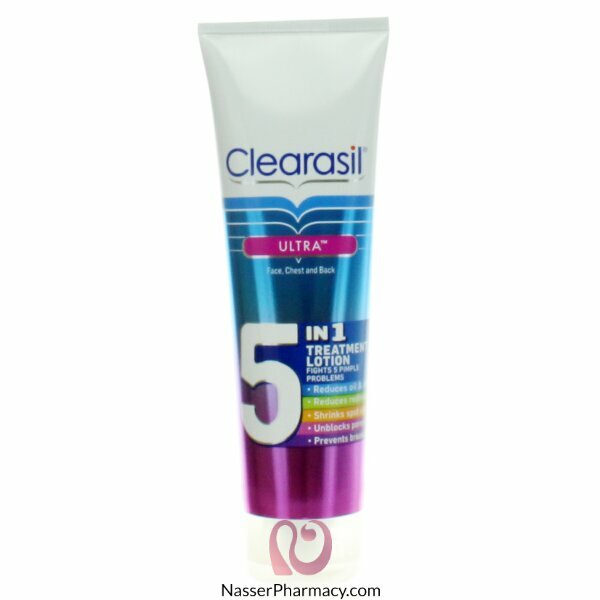 Clearasil ULTRA 5-in-1 Treatment Lotion is one simple step to fight 5 pimple problems. For Face, Chest and Back. 5. Helps prevent the appearance of new breakouts. Suitable to be used every day. Gentle enough to use every day in the morning and evening. Dispense product into hands and massage gently onto face avoiding the delicate eye area.